As IoT (Internet of Things) continues to gain momentum, local edge computing sites will start popping up everywhere. To manage the physical infrastructure at these sites, organizations will need a standards-based approach to make them as reliable, available and future-proofed as large data centers. However, most organizations lack the resources to manage these sites on their own. They need IT Solution Providers to deliver standardized infrastructure solutions that address three imperatives for edge computing sites– operational efficiency, security, and standardization and redundancy. Edge computing sites will look pretty much the same as any room you walk into. The difference lies in the applications at those sites, which will be more bandwidth-dependent, have lower latency requirements or touch data which is more highly regulated. The reason for edge computing, after all, is to prevent latency in connections between the “things” in the IoT, cloud environments and data centers. Edge computing sites are subject to regulations and security requirements applicable to large data centers, so they must comply with the same standards and regulations. For instance, a new data privacy law is scheduled to take effect in May 2018. The General Data Protection Regulation aims to harmonize data privacy laws across the European Union and sets rules on how to export personal data outside the EU. Failure to properly manage data subjects companies to stringent fines. With that in mind this data is going to have to reside closer to the users and “things”, so the number of edge computing deployments is going to increasing significantly and it’s crucial that organizations standardize their IT infrastructure as much as possible in order to maintain availability to those critical systems. Partners will play an integral role in IoT and edge computing by delivering the standardized infrastructure that will host many of these solutions. Standardization benefits customers by bringing consistency to their operations. But it also benefits partners by accelerating deployment and simplifying management. Instead of reinventing the wheel for each deployment, partners can apply the same repeatable processes to dozens of sites. And if they standardize on a limited number of site designs, they’ll know exactly what to expect whenever a technician walks into one of those sites. Pre-integrated solutions – includes the entire physical infrastructure an edge computing site needs to operate delivered as a package, including PDUs, racks and security. Solutions are pre-assembled at the factory and shipped to a partner to deploy the rest of the system. Pre-configured solutions – consist of reference designs that include components, services and software in a traditional, converged or hyper-converged box. Ideally, these reference designs will be built in conjunction with the vendor for whom the designs are specified. Configure-to order solutions – consist of standard products configured by the partner or customer based on specifications for a particular site. The solutions offer some built-in flexibility to meet specific needs. Customized solutions – with these rack and PDU solutions, nothing is off the shelf. Instead, all components can be designed to customer specifications, which might include rack height, width and color, and outlet configuration for the PDUs. To decide which solution makes sense for which deployments, partners can get help from resources such as APC by Schneider Electric’s Local Edge Configurator, which guides through the choices to help you make the right decisions. The global edge computing market is set to explode, according to researcher MarketersMedia, which forecasts annual growth of 35 percent through 2023, when the market will reach about $34 billion. For partners that position themselves to deliver edge computing infrastructure solutions, the potential for growth is substantial. 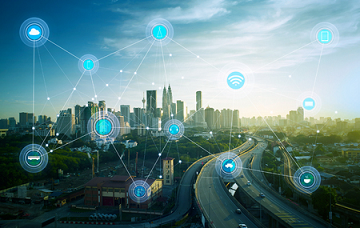 Those who seize the opportunity also will help bring their customers Certainty in a Connected World particularly in reducing latency issues as they look to leverage IoT. To better understand the market drivers behind edge computing, review this free white paper, “The Drivers and Benefits of Edge Computing.” Also, discover how you can grow your business with edge computing solutions and applications by checking out this site.